This product requires the base game Fallen Enchantress: Legendary Heroes. © Stardock Entertainment. Elemental, Fallen Enchantress and Fallen Enchantress: Legendary Heroes are trademarks of Stardock Entertainment. All rights reserved. 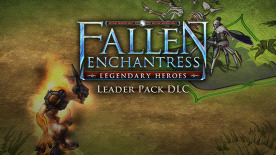 Fallen Enchantress: Legendary Heroes is required to play this DLC.